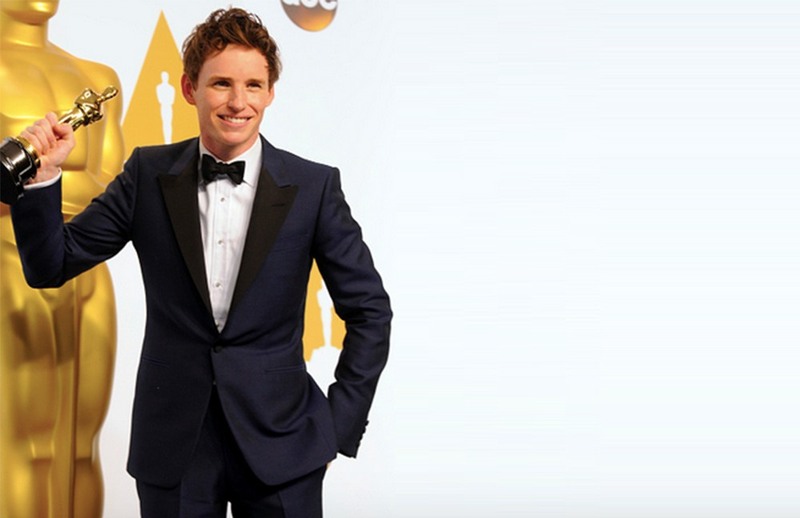 It’s not easy to digress from traditional black tie without moving into novelty territory – the zany bow tie, or wacky shoes, but Eddie’s midnight blue velvet dinner jacket by Alexander McQueen (worn properly with a black bow tie and patent leather shoes) was a classy, effortless take on what is actually a very classic British style. The history of the midnight blue dinner jacket stretches back as far as the cafe society of the 1920s where they were often worn with a shawl collar, reminiscent of Victorian smoking jackets. It’s staged something of a revival in the last couple of years, perhaps most notably Daniel Craig’s version in Skyfall. So if you’re looking for something traditional, but a little different, midnight blue, either in velvet with a black satin peaked collar, like Eddie or perhaps a more traditional wool with shawl collar like Daniel, both are a great way to go. Thinking of specing your own black tie? Why not get in touch to discuss the options.